I enjoy seeing a writer take creative license with historical facts; supposing it ends in a genuinely interesting story that makes all of the fact switcheroo worth it- in other words a story that plays out in a thought provoking manner. 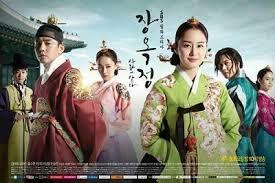 I cannot claim that I feel this way about the currently airing rewrite history drama Jang Ok Jung, Live in Love. 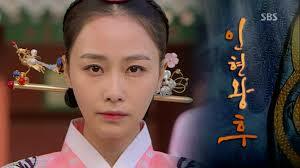 The daughter of a slave, Ok Jung is a fashion designer who dreams of buying her mother’s freedom. Plagued by unfortunate events, such as her family’s downfall and her wealthy uncles royal plotting, Ok Jung has grown up in a world built on a shaky foundation. 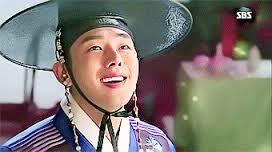 Catching the crown princes eye by accident, Ok Jung is thrown into court intrigue, further complicating her life. The next in line to the Joseon throne, Lee Soon is an intelligent man controlled by his circumstance. Our titular hero catches his eye, making him remember an event from his past. Usually the tragic victim in this story (at least according to history and most fictional accounts) In Hyeon is portrayed in this drama as a woman of equally unfair circumstance and complicated motivation. 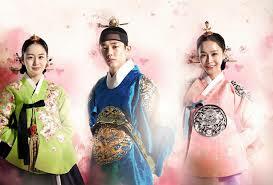 In Hyeon, at least according to history, becomes the favorite and wronged wife of Lee Soon. I have decided not to recap the story thus far. Instead I urge you to read about the actual historical characters and then watch this show- you will not be disappointed. I guarantee you will laugh at the versions of events this drama presents. In other words the more I see of this drama the more I realize that it really is far fetched and inconsistent. So why am I watching it still? Call it the Dr Jin effect- this one is so bad it is good. The cast is stellar- but I have a hard time claiming it is any of the actor’s best work. Maybe I will be proven wrong. I hope so. But thus far I cannot see how the story / directing pace so far is poised to bring any of the players to the next level of acting glory. 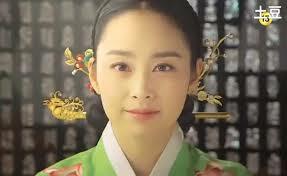 Kim Tae Hee- you should have thought this one through. 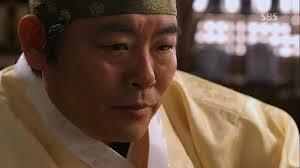 On that note one actor I am fond of, but not for this show, is Song Dong Il. Having recently watched him in the variety hit Dad Where are we Going I cannot help but get excited to see him in this larger than life role. 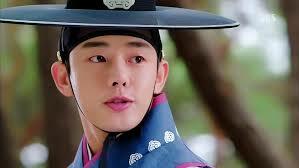 I have seen him in other dramas, it is just this time I have taken note. After watching him as the strict dad it is nice to see him as- wait a minute…the conniving uncle? Never mind. So far this one is a failure of potentially good actors. An element I am frustrated with is the origin story- the mechanics of showing the past to explain the present has failed. Jump forward, jump backwards and give little immediate context is the game this drama plays. All of the time jumps make for confusion that only hurts this shows early episodes. Jang Ok Jung’s entry into fashion is another sore point. While this unique and out of the box take on an infamous historical character could, and probably should, be fascinating the over abundance of references to our titular character’s fashion and sewing ability make for an overtly apparent message. Like we didn’t get the girl could sew. Come on- show give your viewers a little more credit! We do not need a reminder of her fashion sense every second scene! Regardless I urge you to check this drama out, but bear in mind it is nothing to take too seriously. If you want a so bad-it-is-good moment get on board this drama train, you will not be disappointed. From the outrageously thought up scenes to the comically serious moments I cannot help but giggle. I am entertained- but in a way I doubt the writers and directors want me to be. I cannot wait for the next episode, but I highly question if the show was created to make me laugh so much. Cheers!